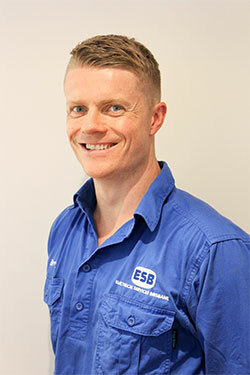 Established in 2010 to meet the growing demand for Electricians in Queensland, Electrical Services Brisbane has since established a reputation for integrity as one of the most highly regarded providers in this sector. We've sourced some of the most highly trained and experienced electricians from around the state and brought them together to ensure our customers experience only the highest quality parts and labour, excellent customer service, at an affordable and transparent cost. 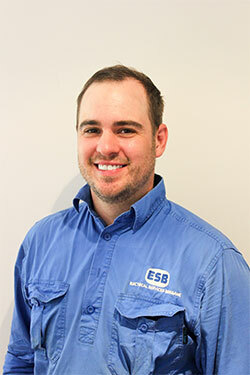 Electrical Services Brisbane has thrived since founded by Chris in 2010. 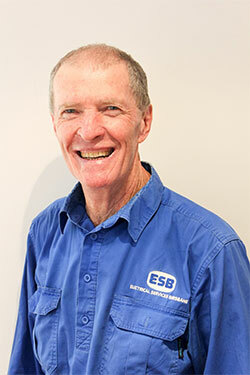 He has 20 years of experience in all facets of the electrical trade. The success of the company is in no small way a result of his own friendly and approachable personality and his unwavering focus on professional standards of work and customer service. 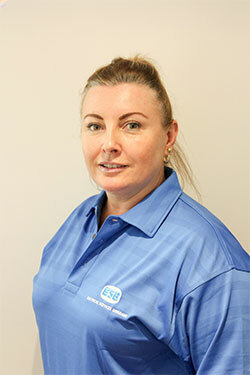 Emma is responsible for managing such areas as Human Resources, Health and Safety compliance, record keeping etc. Her work ethic and dedication ensures that these key aspects are up-dated and current. Bern specializes in analysing and planning projects and staff allocation. 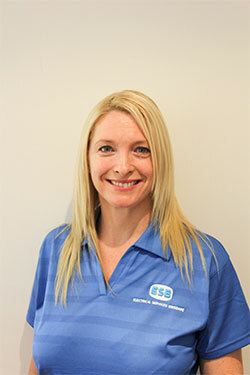 She joined the ESB office in 2016 and some of the innovations she has introduced have resulted in significant benefits for both the company and our clients. 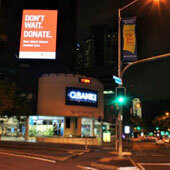 Barry has played an important role in the growth of the company since its beginning. Barry has a focus on effectively dealing with project management applications. 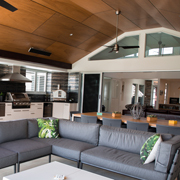 His attention to detail was evident in the successful completion of a recent HIA award winning project. 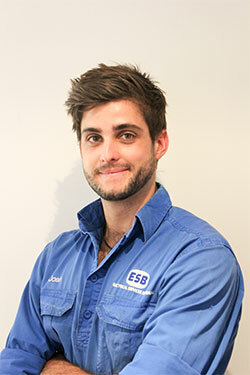 Josh commenced with ESB in 2014. Josh enjoys the hands on aspects of his trade. 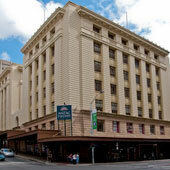 He particularly enjoys commercial fit out and has been instrumental in several multi million dollar projects. He is always eager to accept challenging, new and different projects. 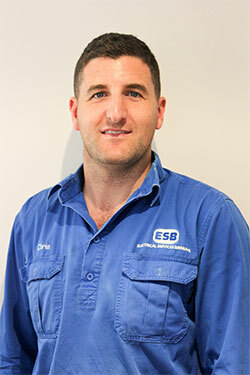 Isaac is an electrical apprentice with ESB. Isaac joined us in 2015 and is an honest, hard working and personable member of staff. His passion is I.T. and Automation programming, installation and service. 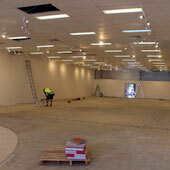 Denis is the previous proprietor of a very successful electrical contracting business. Denis’s vast experience is invaluable as a consultant on new projects and liaising with industry and other relevant stake holders. 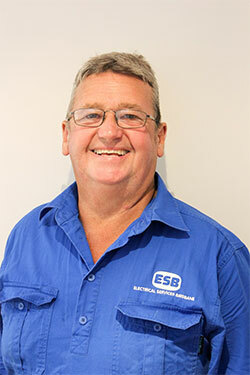 Dave is ESB’s maintenance officer. His main role is fleet compliance, maintenance and stock control. Recognising that no 2 projects are the same, ESB is committed to having the appropriate equipment needed to get the job completed with minimal delay and without incurring any unnecessary costs. From our fully equiped vehicles to our own Elevated work platform and scissor lift, we equiped with the machinery to under take any task. This ensures that we have everything we require in house to provide a comprehensive and immediate response for both indoor and outdoor electrical services no matter the location or height. By owning and maintaining our own capital infrastructure ESB is able to work independently of 3RD equipment hire services 24/7. This level of efficiency has proven beneficial to our clients through our competitive pricing structure. For more on this, or for a quote, please contact us.